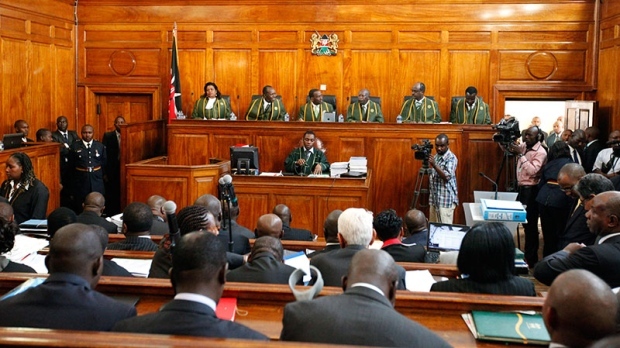 NAIROBI, Kenya (AP) — A Kenyan court on Friday suspended eight sections of a new law which the government says is meant to fight terror but which critics say will be used to crush dissent by curtailing civil liberties. One of the eight suspended clauses calls for three-year jail terms or fines of $56,000 for journalists whose reports are deemed to have undermined police investigations. “We cannot limit the freedoms and inalienable rights in the pretext of fighting terrorism, which must be done in the confines of the law,” said High Court Judge George Odunga. He said he is suspending sections of the law until the chief justice sets up a three-man bench to determine the legality of the new law. Kenya has been hit by a string of attacks since it sent troops to Somalia in 2011 to fight an al-Qaida-linked extremist group that is waging an insurgency against Somalia’s weak government. The attacks included the Sept. 21, 2013 Westgate Mall siege in Nairobi in which 67 people were killed.